Soft and fuzzy changing pad cover with fun raised dots fits extra large 5" thru 7" thick changing pads. Elastic around entire edge for easy on and off. The fabric is 100% polyester and is machine washable. 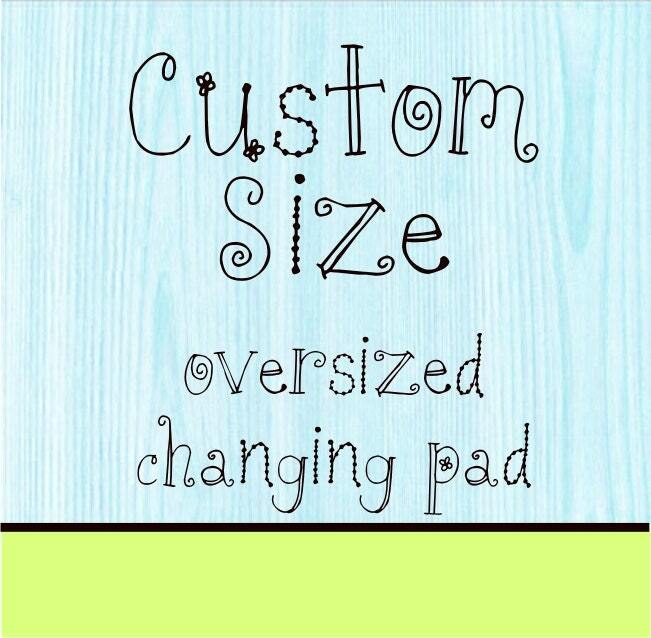 Please leave a note with the thickness of the changing pad in the notes to seller at checkout along with your color choice. Excellent fit! Glad i did custom size to accommodate for the extra height of my changing pad. Love the color. Great communication. Friendly. I was behind on ordering stuff before my due due but she had a Fair and reasonable turn around time to begin with but able to help me out a bit with a small rush.